As a director I’m drawn to plays that spark anger, frustration, passion, and a desire for change. For me, those emotions carry the most weight in my creative process and daily life - I have my Sagittarius nature to thank for that. Anger, frustration, and passion have been at the forefront of devising this piece - because let’s be honest there’s a lot that Olga, Masha, and Irina have to be mad about, even in their very privileged bubble. There’s a lot women have to be mad about - period. In Chekhov’s world, the sisters barely speak to each other, express themselves honestly and openly, or make decisions for themselves. If you’re going to title a play Three Sisters - shouldn’t the story actually be about the women it’s named after? It is the men in the sisters’ lives who possess all of the control and influence - who drive most of the “plot” along. So what happens if you remove all of the male dialogue? What’s left of the women? This is where our devising process for ONE / TWO / THREE began. Removing all-male dialogue from the original text. This skeleton of the original text is where I began writing. I chose to remove all dialogue between male characters where none of the sisters spoke lines. What was left after that - well, it wasn’t much. Reinventing Olga, Masha, and Irina. In changing the sisters to ONE, TWO, and THREE actors of all gender identities were encouraged to audition and redefine the definition of sisterhood. Through free writes and character analysis the new voices of these classic characters emerged. Using key words from the script in combination with Viewpoints exercises and more, we generated a glossary of gestures to use throughout the piece. Where words fail, movement speaks. It’s safe to say this is not Chekhov. Over time we’ve added voice over work, videos, movement sequences, and more. Even now, pieces are still falling into place. Next Thursday we move our tiny devised piece into a black box in Hell’s Kitchen. A week from today we open our show. Incorporating all technical elements is the last piece to our puzzle. This process has been an extremely stressful and rewarding one. I encourage everyone to come to see this show with an open heart and mind. It is my hope that audience members both with and without prior knowledge of Three Sisters can find common ground and empathy within themselves for the humanity of the people on stage. We are seeking new play submissions and proposals for original work for our 2019 - 2020 main stage season. For our third season, we are focusing on narratives that explore the extremities of human experience. This wide lens encompasses stories from many walks of life and is open for interpretation. All interested collaborators should submit a resume and PDF of their work to shellscrapetheatre@gmail.com by March 1, 2019. We are so thrilled to share that our next production, ONE / TWO / THREE, will be partially funded through A.R.T./New York’s Creative Space Grant in association with the Andrew W. Mellon Foundation. Through this grant, we are able to fund rehearsal space for the full run at highly subsidized rates in the heart of New York City. Because of this, we are able to focus our fundraising efforts towards paying our artists and collaborators at a higher rate, and booking performance space with proper technical resources. Thank you to A.R.T./New York for investing in the growth of Shellscrape. We are so thrilled to announce that Shellscrape Theatre Company is now an official fiscally sponsored project through Fractured Atlas. What exactly does this mean for us? Shellscrape Theatre Company is a sponsored project of Fractured Atlas, a non-profit arts service organization. Contributions for the charitable purposes of Shellscrape Theatre Company must be made payable to Fractured Atlas only and are tax-deductible to the extent permitted by law. We can accept donations, sell tickets, and book performance venues all in one place! This is the perfect next step in our journey of developmental growth. Thanks for sticking with us, and be sure to check out our profile on the Fractured Atlas website! It’s got a good ring to it, doesn’t it? Our first mainstage production of the 2018-2019 season is a new adaptation of "Machinal" written and directed by Elaine Rava. 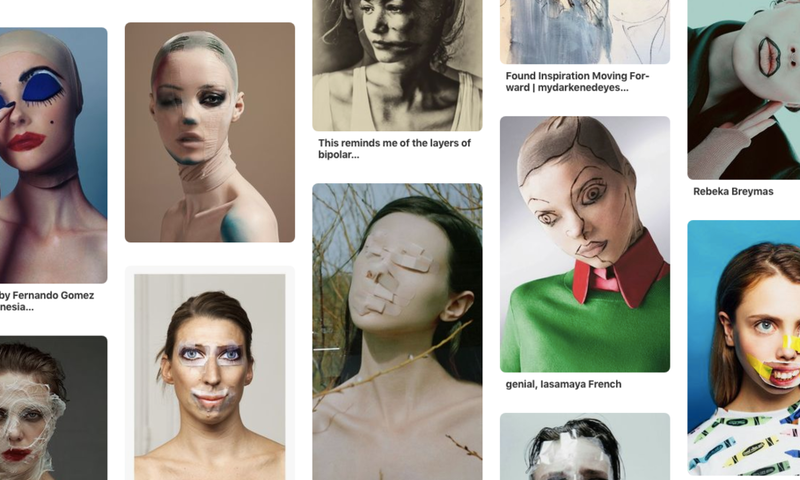 Check out the Pinterest board our Artistic Director has been updating with inspiration for her next big project! A young woman follows the path that society deems fit even though she feels resistance towards them. She marries her boss, a man she doesn't love, has a child with him and then an affair with a younger man. Revitalized by this experience, her moral conflict grows until she retaliates against her husband, killing him. She undergoes a trial and is ultimately sentenced to death by electrocution for the murder. "CAKE" Tickets On Sale Now ! Can you BELIEVE we are flying to Australia in four days? Yeah, me neither! We are so excited to premiere Caitlin Lavery's original one woman show "CAKE" at the Melbourne Fringe Festival on September 20-22 at the Courthouse Hotel. Do YOU happen to be from sunny Melbourne? Do YOU want to see the product of a theatrical collaboration across oceans? If you said YES to either or both of those questions... tickets are on sale now. Not anywhere near Melbourne, but want you see "CAKE" next year in New York? Help make our NYC premiere possible!